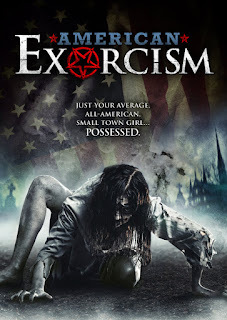 Thrown together in an odd mishmash of the worst episodes of CHARMED and BUFFY THE VAMPIRE SLAYER comes this latest entry into the exorcism cycle of movies. Possessed demon hunter Damon Richter alongside his friend Padre must fight the evil that has entered Damon's estranged daughter Caroline. Will Damon's love for his daughter help or will the demon inside her ultimately claim her for its own? There is little saving grace for this movie besides it looking great and some fine acting mainly from the main girl Kate Tumanova playing the possessed Caroline. There is many unanswered questions, but maybe these were left unanswered to give the priest and his demon battling friend some form of air of mystery but for me it was just plain irritating. Watch AMERICAN EXORCISM if you want to see another exorcism movie, but you will easily forget what you saw and want to watch a better film.